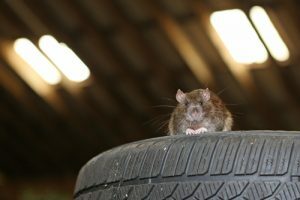 East Orlando, and the Winter Springs area specifically, has seen an explosion in size and population in recent years, and this influx of people and activity has brought with it increased rat activity throughout homes and businesses in the area. Preventing invasive critters like rats from taking over your property is critical to the health and well-being of your home, business, and loved ones. Rats reproduce quickly, so the key to stopping an infestation before it grows out of hand or has the chance to cause extensive damage is to seek out help as soon as you notice the signs of their activity. Though there is a wide variety of DIY trapping and removal tools available, calling a professional is always the most efficient way to handle the problem. For over thirty years, Critter Control has been the premier solution for residential and commercial wildlife removal. Our exclusive four-step method ensures that every last critter is out of your home or office while making sure that any damage is repaired while taking measures to prevent future infestations. For more information about our rat removal services or to schedule a consultation, call us today at 407.295.7194.